Oh, the weather outside is frightful… And thus begins the (delightful) onslaught for all things festive. With less than 25 sleeps to go to the big day, and considerably less if you still haven’t decided on your work’s / family Christmas do, then you may want to pay attention now. 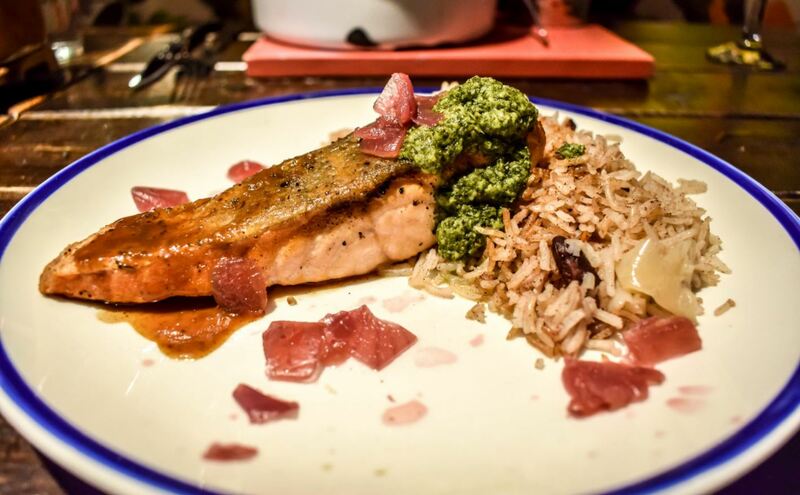 Turtle Bay have come over all festive and launched their Christmas menu. For Christmas with a Caribbean twist (turkey is SO last season), then have a look at their Christmas menu. 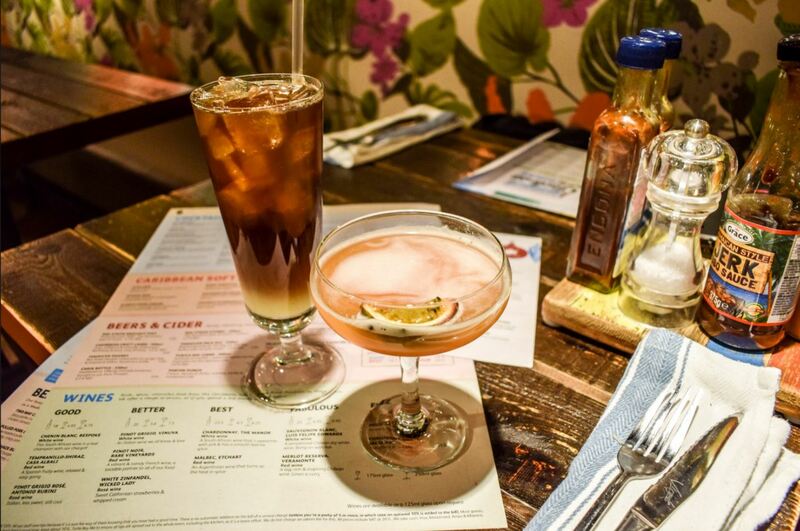 I have dined at Turtle Bay before, and sipped their delicious cocktails too (Rum Love is my personal favourite). We dined on a Tuesday evening, and it was just getting busy. 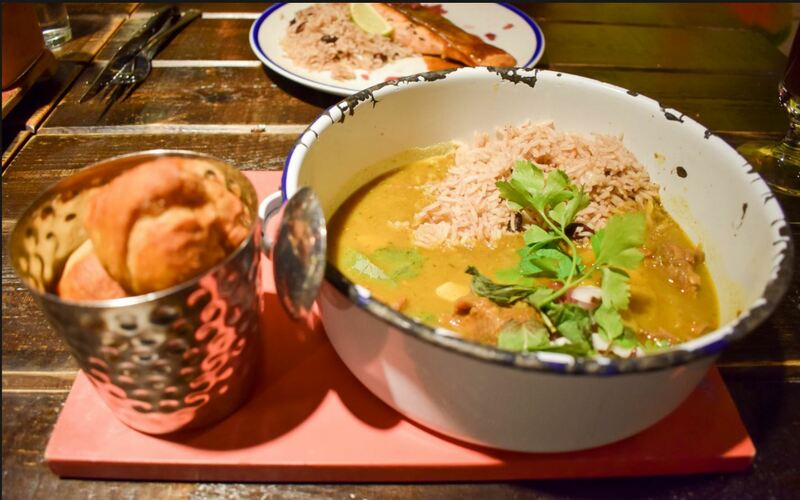 Turtle Bay attracts a diverse crowd including families with 2.4 kids, mates hanging out and couples enjoying date night. The Christmas menu is compact yet boasts versatile dishes that make ordering easy peasy lemon squeezy. 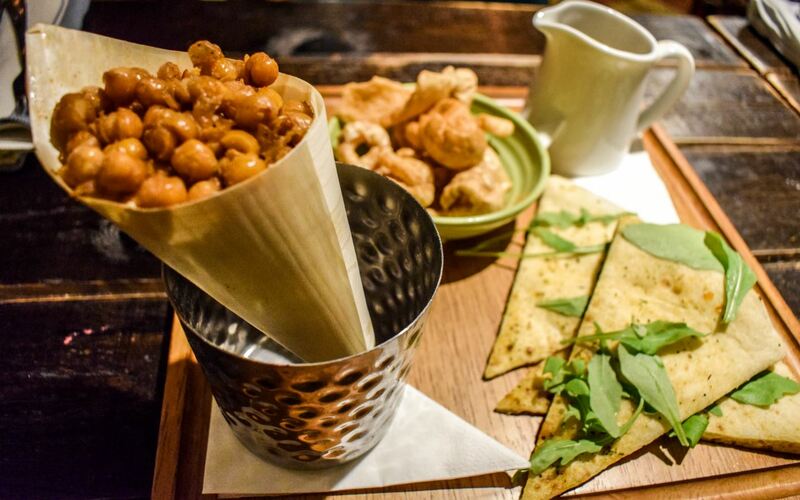 We were booked in for the festive platter, where three dishes were waiting for us on arrival. Garlic ‘n’ herb flatbread (crushed chilli, garlic butter, fresh rocket) was very good. It was stone-baked, imparting a slight earthy aftertaste which I loved. Add garlic AND butter to the mix (I’m from the James Martin school of thought – butter is manna), and I was in heaven. Trini chickpeas (thyme, spices) were baked, and the dusting of spice delicious. 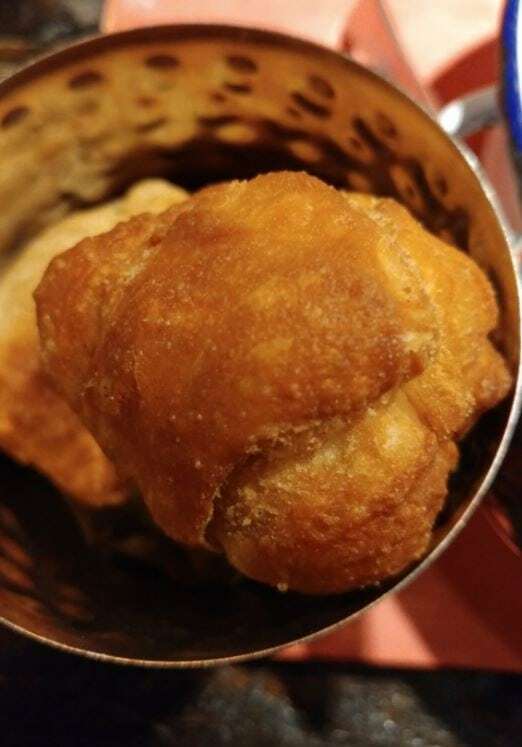 Coupled with the slightly chewy exterior and mild bite inside, rendered these to be another winner of a dish. Spicy pork rinds (Jerk BBQ sauce) were crunchy, flavoursome and an upmarket twist on your regular pork scratchings. 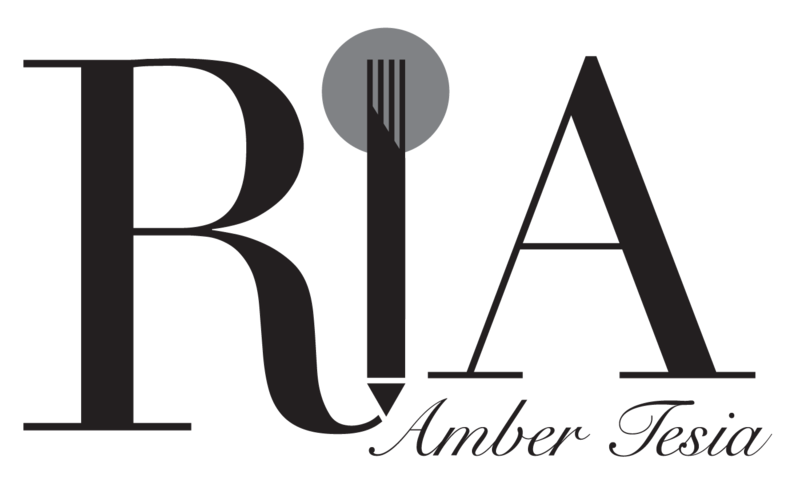 I liked how these dishes are already on the table, because as is the case with larger bookings, it can take a while for everyone to get seated and exchange pleasantries, which can potentially leave diners hungry. For starter, I had garlic and chilli pit prawns (grilled, herb, chilli, garlic butter). This is one show-stopper of a dish, call it the Ryan Gosling of dishes. You cannot help gawk at it, it really is that gorgeous. Shell-on king prawns were succulent and bathed in spicy, piquant butter. This is one memorable dish that has made it onto my Top 10 of the year. 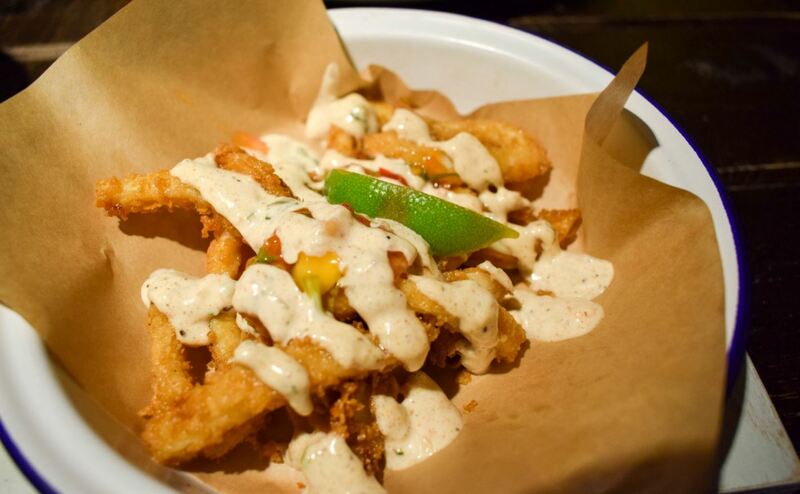 Dining partner had crispy chilli squid (spiced panko crumb, mango mole, lime and coriander mayonnaise), which was tasty, good looking and moreish. I especially liked the mole, which I thought was the perfect balance between tangy and sweet with a good kick to boot. My main of pit salmon (crispy skin, sweet onion chutney, green seasoning) was blooming gorgeous, spicy, citrussy (that’ll be the lime) a generous portion and the flesh wonderfully fresh. I loved the seasoned rice, which you can swap out for the grain salad (the original accompaniment to this dish). Turtle Bay boasts a great selection of cocktails, my tipple of choice being One Love, which I thought went very well with this fish dish. Dining partner had goat curry (marinated goat meat, coconut rice ‘n’ peas, Johnnycakes). I swiped a forkful of the curry and really liked it. Goat is never my first choice (why is that? I find myself asking), but this curried goat was delicious. Braising rendered the meat tender, whilst the scotch bonnet ratchetted up the chilli factor. The accompanying onion chutney was a great call, good for those who perhaps find the scotch bonnet too hot to handle. The star of this dish for me was the Johnnycake, which can be described as the love-child of Mr Yorkshire Pud and Miss Dumpling. It was dense and tasty and all round luscious – I could happily eat a handful of these and not get bored. It’s Christmas, which is why I couldn’t not order dessert. Fine, I could have chosen a better excuse, but it’s pudding, and a meal without pudding is like couple du jour Prince Harry without Meghan Markle. 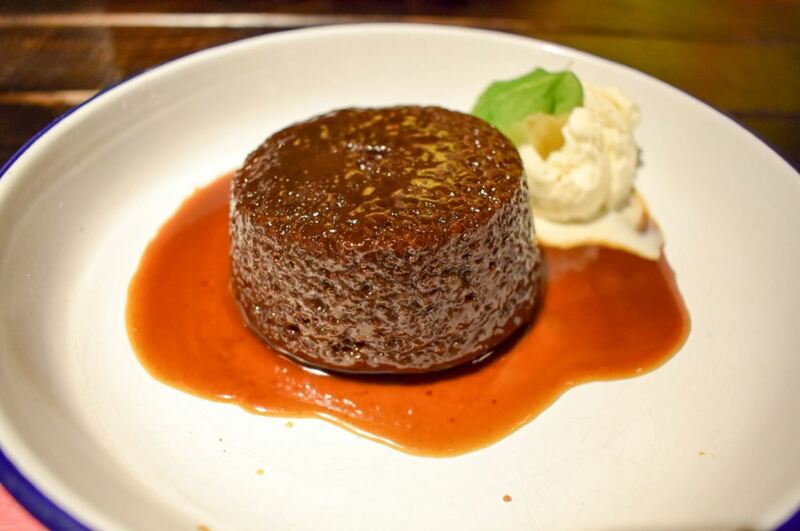 Sticky treacle pudding (salted caramel, treacle sauce, vanilla ice cream) was delicious. The sponge was light, and the unctuous sauce was beautiful and scrumptious. I loved how the sauce sunk into the sponge, making the top coating of the pudding gorgeously gooey. It’s a winner of Christmas dinner. 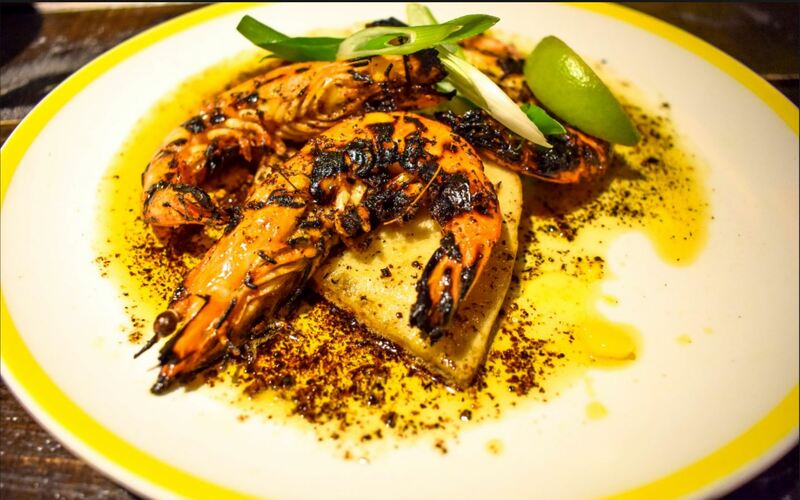 I am planning on visiting Turtle Bay again, and look forward to tucking into those garlic pit prawns. Kudos Team Turtle Bay, and thank you for having me. Whilst in the area: Check out Derby Museum’s shop, where you can pick up quaint notebooks and unique gifts for that perfect Christmas present.